Today we take a look at a 2010 Petite Sirah from California. Located just off of Napa Valley’s infamous Saint Helena Highway stands Girard Winery, makers of fine Cabernet Sauvignon, Red blends, Chardonnay and Sauvignon Blanc. 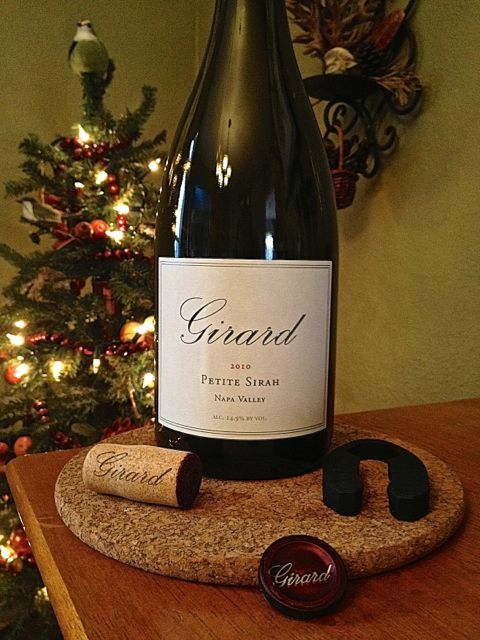 Today however, we focus our attention on one of their flagship products, the little gem known as Petite Sirah. I’m here to tell you right now, there is nothing “petite” about this lush, luxurious full-bodied red.